Dr. Lewis Temares, CIO Emeritus at the University of Miami, shares key people management best Practices from his award winning IT organization at the University of Miami. 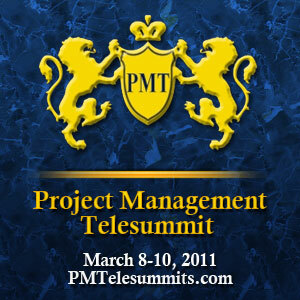 Brought to you by: Project Management Telesummit: March 8-10, 2011 – Don’t miss this opportunity to hear fifteen of today’s leading and emerging voices in Project Management. Dr. Lewis Temares is VP/CIO Emeritus for Information Technology, and Dean Emeritus of the College of Engineering at the University of Miami. He led a staff of 300 employees responsible for all aspects of computing and telecommunications with a $40 million budget. He joined the University of Miami in 1980 and later became the first officially designated Chief Information Officer in higher education in the United States, while simultaneously serving as Dean of the College of Engineering from 1994-2007. Selected as one of the “Premiere 100 IT Leaders in the World”, he led the University of Miami IT Department to place in the top 10 of ComputerWorld’s “Best Places to Work” for 8 consecutive years, a distinction only the University of Miami can claim. The qualities he looked for in project managers and what he expected of them on high visibility projects? Lessons Learned From the Economic Downturn. What are some of the challenges you and your team had to face and will pinpoint mistakes that leaders should avoid when facing major budgetary constraints forced by the current economy? Dr. Temares will present these concepts at the Pink Elephant’s 15th Annual International IT Management Conference & Exhibition in Las Vegas on February 20-23, 2011. You will be presenting on People Management Best Practices At U Of M at Pink Elephant’s 15th Annual International IT. You led an organization that has been named “Top 100 Best Places to Work in IT” not just once but many times in row. Give us an overview of some of the key people management and leadership best practices you will share with the audience that enable you to build such award-winning information technology organization? 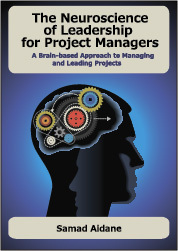 What qualities did you look for in project managers when you assigned them to major projects? As a CIO, what did you expect from your Project Managers when you assigned them to high visibility projects? You will also present on lessons learned from the economic downturn. What are some of the challenges you and your team had to face and what the key points you will make in your presentation? Can you pinpoint other mistakes that leaders should avoid when facing major budgetary constraints forced by the current economy? Pink Elephant’s 15th Annual International IT Management Conference & Exhibition is in Las Vegas on February 20-23, 2011. The conference will provide a wide range of industry best practices to successfully navigate through the ever changing waters of today’s turbulent business climate. The program covers ITIL, ISO 20000, ISO 38500, ISO 27000, PRINCE2, PMBOK, Sig Sigma, CobiT, Lean IT…and more!